• Marc Rigby, Insect population decline leaves Australian scientists scratching for solutions, ABC Far North, 23 February 2018. A global crash in insect populations has found its way to Australia, with entomologists across the country reporting lower than average numbers of wild insects. University of Sydney entomologist Dr. Cameron Webb said researchers around the world widely acknowledge that insect populations are in decline, but are at a loss to determine the cause. “On one hand it might be the widespread use of insecticides, on the other hand it might be urbanisation and the fact that we’re eliminating some of the plants where it’s really critical that these insects complete their development,” Dr Webb said. Entomologist and owner of the Australian Insect Farm, near Innisfail in far north Queensland, Jack Hasenpusch is usually able to collect swarms of wild insects at this time of year. “I’ve been wondering for the last few years why some of the insects have been dropping off and put it down to lack of rainfall,” Mr. Hasenpusch said. Mr Hasenpusch said entomologists he had spoken to from Sydney, Brisbane, Perth and even as far away as New Caledonia and Italy all had similar stories. The Australian Butterfly Sanctuary in Kuranda, west of Cairns, has had difficulty breeding the far north’s iconic Ulysses butterfly for more than two years. “We’ve had [the problem] checked by scientists, the University of Queensland was involved, Biosecurity Queensland was involved but so far we haven’t found anything unusual in the bodies [of caterpillars] that didn’t survive,” said breeding laboratory supervisor Tina Kupke. Dr. Webb, who primarily researches mosquitoes, said numbers were also in decline across New South Wales this year, which was indicative of the situation in other insect populations. “We’ve had a really strange summer; it’s been very dry, sometimes it’s been brutally hot but sometimes it’s been cooler than average,” he said. • Gretchen Vogel, Where have all the insects gone?, Science, 10 May 2017. Now, a new set of long-term data is coming to light, this time from a dedicated group of mostly amateur entomologists who have tracked insect abundance at more than 100 nature reserves in western Europe since the 1980s. Over that time the group, the Krefeld Entomological Society, has seen the yearly insect catches fluctuate, as expected. But in 2013 they spotted something alarming. When they returned to one of their earliest trapping sites from 1989, the total mass of their catch had fallen by nearly 80%. Perhaps it was a particularly bad year, they thought, so they set up the traps again in 2014. The numbers were just as low. Through more direct comparisons, the group—which had preserved thousands of samples over 3 decades—found dramatic declines across more than a dozen other sites. Since 1968, scientists at Rothamsted Research, an agricultural research center in Harpenden, U.K., have operated a system of suction traps—12-meter-long suction tubes pointing skyward. Set up in fields to monitor agricultural pests, the traps capture all manner of insects that happen to fly over them; they are “effectively upside-down Hoovers running 24/7, continually sampling the air for migrating insects,” says James Bell, who heads the Rothamsted Insect Survey. Between 1970 and 2002, the biomass caught in the traps in southern England did not decline significantly. Catches in southern Scotland, however, declined by more than two-thirds during the same period. Bell notes that overall numbers in Scotland were much higher at the start of the study. “It might be that much of the [insect] abundance in southern England had already been lost” by 1970, he says, after the dramatic postwar changes in agriculture and land use. • Caspar A. Hallmann, Martin Sorg, Eelke Jongejans, Henk Siepel, Nick Hofland, Heinz Schwan, Werner Stenmans, Andreas Müller, Hubert Sumser, Thomas Hörren, Dave Goulson and Hans de Kroon, More than 75 percent decline over 27 years in total flying insect biomass in protected areas, PLOS One, 18 October 2017. Abstract. Global declines in insects have sparked wide interest among scientists, politicians, and the general public. Loss of insect diversity and abundance is expected to provoke cascading effects on food webs and to jeopardize ecosystem services. Our understanding of the extent and underlying causes of this decline is based on the abundance of single species or taxonomic groups only, rather than changes in insect biomass which is more relevant for ecological functioning. Here, we used a standardized protocol to measure total insect biomass using Malaise traps, deployed over 27 years in 63 nature protection areas in Germany (96 unique location-year combinations) to infer on the status and trend of local entomofauna. Our analysis estimates a seasonal decline of 76%, and mid-summer decline of 82% in flying insect biomass over the 27 years of study. We show that this decline is apparent regardless of habitat type, while changes in weather, land use, and habitat characteristics cannot explain this overall decline. This yet unrecognized loss of insect biomass must be taken into account in evaluating declines in abundance of species depending on insects as a food source, and ecosystem functioning in the European landscape. It seems we are heading into strange times. Please go ahead! Then tell your friends to join in, and give them this link. This can be your good deed for the day. Alternative A — No Action. They’ll keep doing what they’re already doing. The few grizzlies already there would be protected from poaching, the local population would be advised on how to deal with grizzlies, and the bears would be monitored. All other alternatives will do these things and more. Alternative B — Ecosystem Evaluation Restoration. Up to 10 grizzly bears will be captured from source populations in northwestern Montana and/or south-central British Columbia and released at a single remote site on Forest Service lands in the North Cascades. This will take 2 years, and then they’ll be monitored for 2 years before deciding what to do next. Alternative C — Incremental Restoration. 5 to 7 grizzly bears will be captured and released into the North Casades each year over roughly 5 to 10 years, with a goal of establishing an initial population of 25 grizzly bears. Bears would be released at multiple remote sites. They can be relocated or removed if they cause trouble. Alternative C is expected to reach the restoration goal of approximately 200 grizzly bears within 60 to 100 years. Alternative D — Expedited Restoration. 5 to 7 grizzly bears will be captured and released into the North Casades each year until the population reaches about 200, which is what the area can easily support. So, pick your own alternative if you like! • and the North Cascades Ecosystem (NCE) in northwestern and north-central Washington. The North Cascades Ecosystem consists of 24,800 square kilometers in Washington, with an additional 10,350 square kilometers in British Columbia. In the US, 90% of this ecosystem is managed by the US Forest Service, the US National Park Service, and the State of Washington, and approximately 41% falls within Forest Service wilderness or the North Cascades National Park Service Complex. 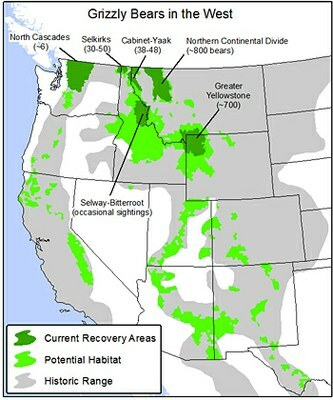 • National Park Service, Draft Grizzly Bear Restoration Plan / Environmental Impact Statement: North Cascades Ecosystem. • Ron Judd, Why returning grizzlies to the North Cascades is the right thing to do, Pacific NW Magazine, 23 November 2015. If you’re worried about reintroducing grizzly bears, read it! • Krista Langlois, Grizzlies gain ground, High Country News, 27 August 2014. Here you’ll see the huge obstacles this project has overcome so far. The quagga was a subspecies of zebra found only in South Africa’s Western Cape region. After the Dutch invaded, they hunted the quagga to extinction. While some were taken to zoos in Europe, breeding programs failed. 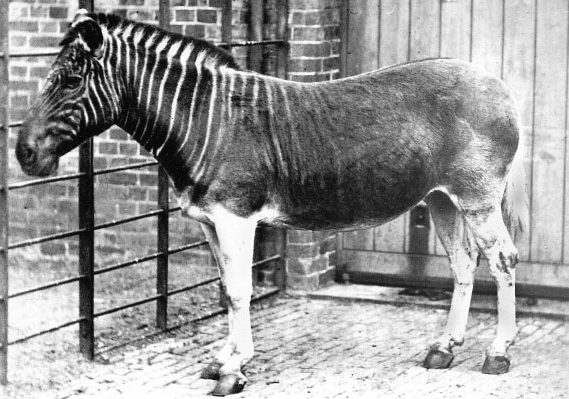 The last wild quagga died in 1878, and the very last quagga died in an Amsterdam zoo in 1883. Only one was ever photographed—the mare shown above, in London. Only 23 stuffed and mounted quagga specimens exist. There was one more, but it was destroyed in Königsberg, Germany, during World War II. There is also a mounted head and neck, a foot, 7 complete skeletons, and samples of various tissues. The quagga was the first extinct animal to have its DNA analyzed. It used to be thought that the quagga was a distinct species from the zebra. After some argument, a genetic study published in 2005 convinced most people that the quagga is a subspecies of the zebra. It showed that the quagga diverged from the other zebra subspecies only between 120,000 and 290,000 years ago, during the Pleistocene. In 1987, a natural historian named Reinhold Rau started the Quagga Project. He was goal was to breed zebras into quaggas by selecting for quagga-like traits, most notably the lack of stripes on the back half of its body. The founding population consisted of 19 zebras from Namibia and South Africa, chosen because they had reduced striping on the rear body and legs. The first foal was born in 1988. This is an 1804 illustration by Samuel Daniell, which served as the basis of a claimed subspecies of quagga, Equus quagga danielli. Perhaps they just have variable coloring. It’s an attempt to try and repair ecological damage that was done a long time ago in some sort of small way. It is also to try and get a representation back of a charismatic animal that used to live in South Africa. We don’t do genetic engineering, we aren’t cloning, we aren’t doing any particularly clever sort of embryo transfers—it is a very simple project of selective breeding. If it had been a different species the whole project would have been unjustifiable. I think there is controversy with all programmes like this. There is no way that all scientists are going to agree that this is the right way to go. We are a bunch of enthusiastic people trying to do something to replace something that we messed up many years ago. What we’re not doing is selecting some fancy funny colour variety of zebra, as is taking place in other areas, where funny mutations have taken place with strange colouring which may look amusing but is rather frowned upon in conservation circles. What we are trying to do is get sufficient animals—ideally get a herd of up to 50 full-blown rau-quaggas in one locality, breeding together, and then we would have a herd we could say at the very least represents the original quagga. We obviously want to keep them separate from other populations of plains zebra otherwise we simply mix them up again and lose the characteristic appearance. 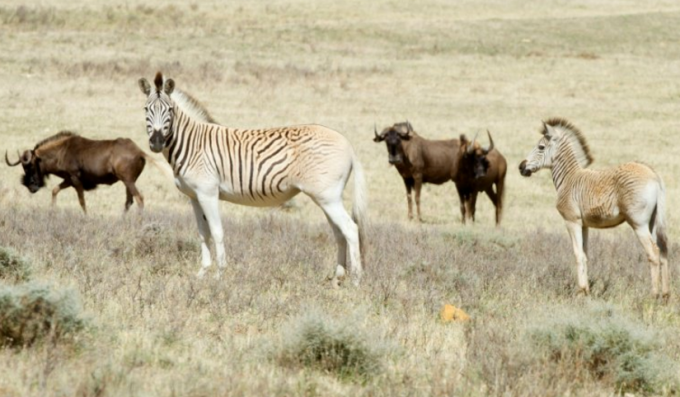 • Lawrence Bartlett, South Africa revives ‘extinct’ zebra subspecies, Phys.org, 12 February 2016. Needless to say, it’s a controversial idea. I lived in Singapore for two years, and I go back to work there every summer. I love Southeast Asia, its beautiful landscapes, its friendly people, and its huge biological and cultural diversity. It’s a magical place. But in 2013 there was a horrible haze from fires in nearby Sumatra. And this year it’s even worse. It makes me want to cry, thinking about how millions of people all over this region are being choked as the rain forest burns. This part of the world has a dry season from May to October and then a wet season. 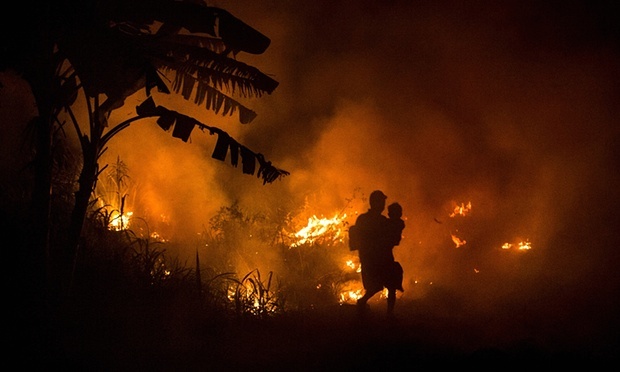 In the dry season, Indonesian farmers slash down jungle growth, burn it, and plant crops. That is nothing new. But now, palm oil plantations run by big companies do this on a massive scale. Jungles are disappearing at an astonishing rate. Some of this is illegal, but corrupt government officials are paid to look the other way. Whenever we buy palm oil—in soap, cookies, bread, margarine, detergents, and many other products—we become part of the problem. This year the fires are worse. One reason is that we’re having an El Niño. That typically means more rain in California—which we desperately need. But it means less rain in Southeast Asia. This summer it was very dry in Singapore. Then, in September, the haze started. We got used to rarely seeing the sun—only yellow-brown light filtering through the smoke. When it stinks outside, you try to stay indoors. When I left on September 19th, the PSI index of air pollution had risen above 200, which is ‘very unhealthy’. Singapore had offered troops to help fight the fires, but Indonesia turned down the offer, saying they could handle the situation themselves. That was completely false: thousands of fires were burning out of control in Sumatra, Borneo and other Indonesian islands. I believe the Indonesian government just didn’t want foreign troops out their land. Satellites could detect the many hot spots where fires were burning. But outrageously, the government refused to say who owned those lands. A few days after I left, the PSI index in Singapore had shot above 300, which is ‘hazardous’. 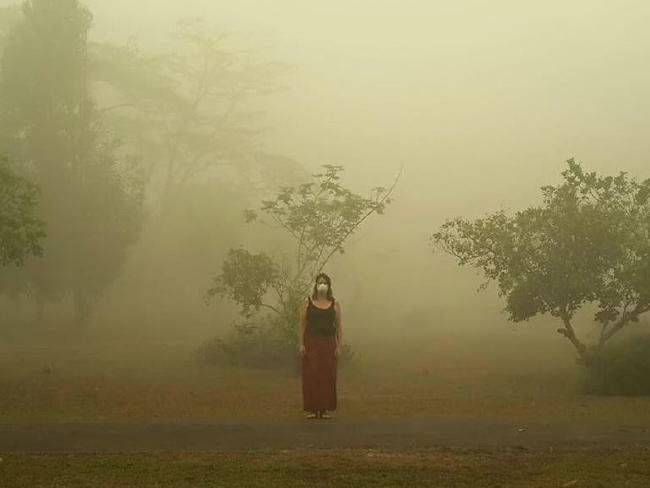 But in parts of Borneo the PSI had reached 1,986. The only name for that is hell. By now Indonesia has accepted help from Singapore. Thanks to changing winds, the PSI in Singapore has been slowly dropping throughout October. In the last few days the rainy season has begun. Each time the rain clears the air, Singaporeans can see something beautiful and almost forgotten: a blue sky. Rain is also helping in Borneo. But the hellish fires continue. There have been over 100,000 individual fires—mostly in Sumatra, Borneo and Papua. In many places, peat in the ground has caught on fire! It’s very hard to put out a peat fire. If you care about the Earth, this is very disheartening. These fires have been putting over 15 million tons of carbon dioxide into the air per day – more than the whole US economy! And so far this year they’ve put out 1.5 billion tons of CO2. That’s more than Germany’s carbon emissions for the whole year—in fact, even more than Japan’s. How can we make progress on reducing carbon emissions with this going on? For you and me, the first thing is to stop buying products with palm oil. The problem is largely one of government corruption driven by money from palm oil plantations. But the real heart of the problem lies in Indonesia. Luckily Widodo, the president of this country, may be part of the solution. But the solution will be difficult. Widodo is Indonesia’s first president with a track record of efficient local governance in running two large cities. 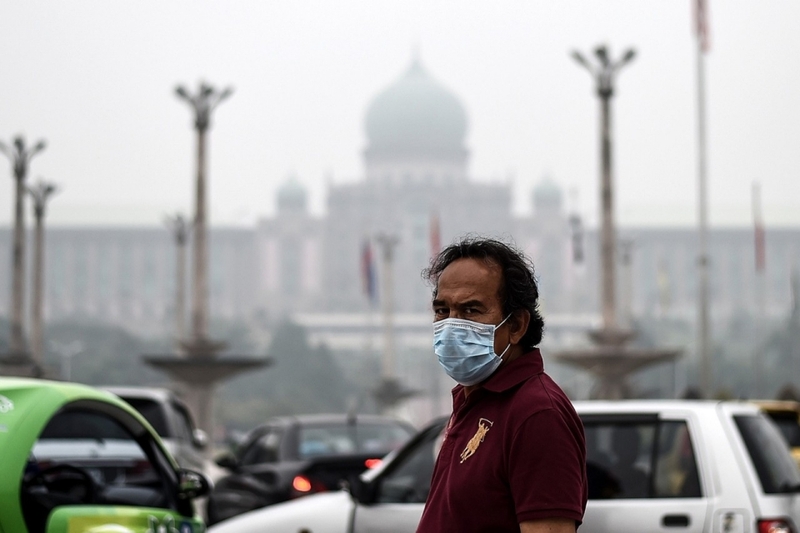 Strong action on the haze issue could help fulfill the promise of reform that motivated Indonesian voters to put him in office in October 2014. The president has deployed thousands of firefighters and accepted international assistance. He has ordered a moratorium on new licenses to use peat land and ordered law enforcers to prosecute people and companies who clear land by burning forests. “It must be stopped, we mustn’t allow our tropical rainforests to disappear because of monoculture plantations like oil palms,” Widodo said early in his administration. Land recently burned and planted with palm trees is now under police investigation in Kalimantan [the Indonesian part of Borneo]. The problem of Indonesia’s illegal forest fires is so complex that it’s very hard to say exactly who is responsible for causing it. Indonesia’s government has blamed both big palm oil companies and small freeholders. Poynton [executive director of the Forest Trust] says the culprits are often mid-sized companies with strong ties to local politicians. He describes them as lawless middlemen who pay local farmers to burn forests and plant oil palms, often on other companies’ concessions. “There are these sort of low-level, Mafioso-type guys that basically say, ‘You get in there and clear the land, and I’ll then finance you to establish a palm oil plantation,'” he says. The problem is exacerbated by ingrained government corruption, in which politicians grant land use permits for forests and peat lands to agribusiness in exchange for financial and political support. • Anthony Kuhn, As Indonesia’s annual fires rage, plenty of blame but no responsibility. • Lael Goodman, How many products with palm oil do I use in a day? First, avoid processed foods. That’s smart for other reasons too. For more nuanced suggestions, see the comments below. Right now I’m just so disgusted that I want to avoid palm oil. 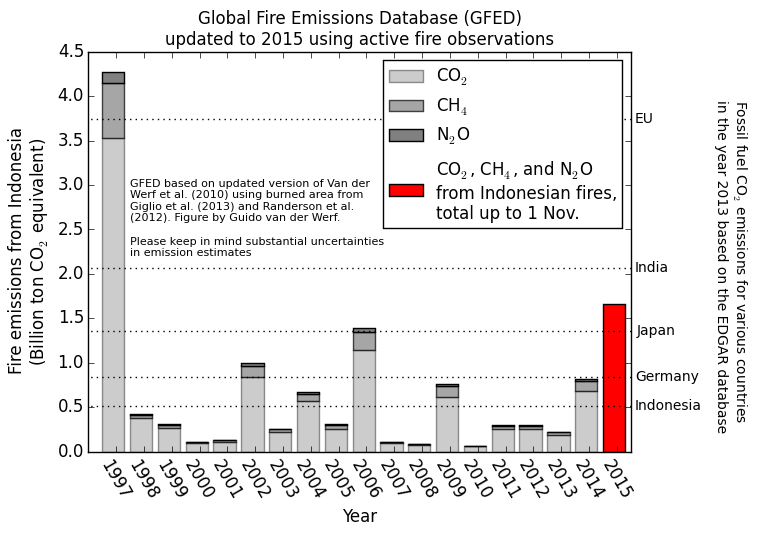 • Global fire emissions data. 1997 was the last really big El Niño. The Jungle River Cruise is run by Kalimantan Tour Destinations a foreign owned company set up by two women pioneering the introduction of ecotourism into a part of Central Kalimantan that to date has virtually no tourism. Inspired by the untapped potential of Central Kalimantan’s mighty rivers, Gaye Thavisin and Lorna Dowson-Collins converted a traditional Kalimantan barge into a comfortable cruise boat with five double cabins, an inside sitting area and a upper viewing deck, bringing the first jungle cruises to the area. Originally Lorna Dowson-Collins worked in Central Kalimantan with a local NGO on a sustainable livelihoods programme. The future livelihoods of the local people were under threat as logging left the land devastated with poor soils and no forest to fend from. Kalimantan was teeming with the potential of her people and their fascinating culture, with beautiful forests of diverse flora and fauna, including the iconic orang-utan, and her mighty rivers providing access to these wonderful treasures. An idea for a social enterprise emerged , which involved building a boat to journey guests to inaccessible places and provide comfortable accommodation. Gaye Thavisin, an Australian expatriate, for 4 years operated an attractive, new hotel 36 km out of Palangkaraya in Kalimantan. Gaye was passionate about developing the tourism potential of Central Kalimantan and was also looking at the idea of boats. With her contract at the hotel coming to an end, the Jungle Cruise began to take shape! John Harte of U. C. Berkeley spoke about the maximum entropy method as a method of predicting patterns in ecology. Annette Ostling of the University of Michigan spoke about some competing theories, such as the ‘neutral model’ of biodiversity—a theory that sounds much too simple to be right, yet fits the data surprisingly well! • John Baez, Maximum entropy and ecology, Azimuth, 21 February 2013. • John Harte, Maximum entropy as a foundation for theory building in ecology. Abstract. Constrained maximization of information entropy (MaxEnt) yields least-biased probability distributions. In statistical physics, this powerful inference method yields classical statistical mechanics/thermodynamics under the constraints imposed by conservation laws. 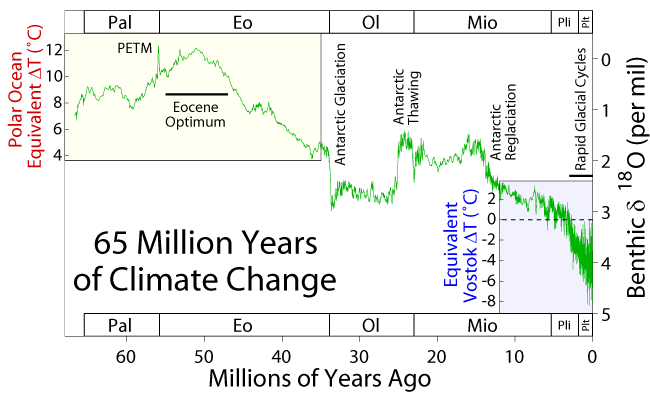 I apply MaxEnt to macroecology, the study of the distribution, abundance, and energetics of species in ecosystems. With constraints derived from ratios of ecological state variables, I show that MaxEnt yields realistic abundance distributions, species-area relationships, spatial aggregation patterns, and body-size distributions over a wide range of taxonomic groups, habitats and spatial scales. I conclude with a brief summary of some of the major opportunities at the frontier of MaxEnt-based macroecological theory. • Annette Ostling, The neutral theory of biodiversity and other competitors to maximum entropy. Abstract: I am a bit of the odd man out in that I will not talk that much about information and entropy, but instead about neutral theory and niche theory in ecology. My interest in coming to this workshop is in part out of an interest in what greater insights we can get into neutral models and stochastic population dynamics in general using entropy and information theory. I will present the niche and neutral theories of the maintenance of diversity of competing species in ecology, and explain the dynamics included in neutral models in ecology. I will also briefly explain how one can derive a species abundance distribution from neutral models. I will present the view that neutral models have the potential to serve as more process-based null models than previously used in ecology for detecting the signature of niches and habitat filtering. However, tests of neutral theory in ecology have not as of yet been as useful as tests of neutral theory in evolutionary biology, because they leave open the possibility that pattern is influenced by “demographic complexity” rather than niches. I will mention briefly some of the work I’ve been doing to try to construct better tests of neutral theory. Finally I’ll mention some connections that have been made so far between predictions of entropy theory and predictions of neutral theory in ecology and evolution. These papers present interesting relations between ecology and statistical mechanics. Check out the nice ‘analogy chart’ in the second one! • M. G. Bowler, Species abundance distributions, statistical mechanics and the priors of MaxEnt, Theoretical Population Biology 92 (2014), 69–77. the usual formulation the prior distribution for the number of species over the number of individuals is 1/n; the problem can be reformulated in terms of the distribution of individuals over species classes, with a uniform prior. Results are obtained using master equations for the dynamics and separately through the combinatoric methods of elementary statistical mechanics; the MaxEnt priors then emerge a posteriori. The first object is to establish the log series species abundance distribution as the outcome of per capita guild dynamics. The second is to clarify the true nature and origin of priors in the language of MaxEnt. Finally, I consider how it may come about that the distribution is similar to log series in the event that filled niches dominate species abundance. For the general ecologist, there are two messages. First, that species abundance distributions are determined largely by population sorting through fractional processes (resulting in the 1/n factor) and secondly that useful information is likely to be found only in departures from the log series. For the MaxEnt practitioner, the message is that the prior with respect to which the entropy is to be maximised is determined by the nature of the problem and the way in which it is formulated. • Guy Sella and Aaron E. Hirsh, The application of statistical physics to evolutionary biology, Proc. Nat. Acad. Sci. 102 (2005), 9541–9546. A number of fundamental mathematical models of the evolutionary process exhibit dynamics that can be difficult to understand analytically. Here we show that a precise mathematical analogy can be drawn between certain evolutionary and thermodynamic systems, allowing application of the powerful machinery of statistical physics to analysis of a family of evolutionary models. Analytical results that follow directly from this approach include the steady-state distribution of fixed genotypes and the load in finite populations. The analogy with statistical physics also reveals that, contrary to a basic tenet of the nearly neutral theory of molecular evolution, the frequencies of adaptive and deleterious substitutions at steady state are equal. Finally, just as the free energy function quantitatively characterizes the balance between energy and entropy, a free fitness function provides an analytical expression for the balance between natural selection and stochastic drift. I’m giving a short 30-minute talk at a workshop on Biological and Bio-Inspired Information Theory at the Banff International Research Institute. 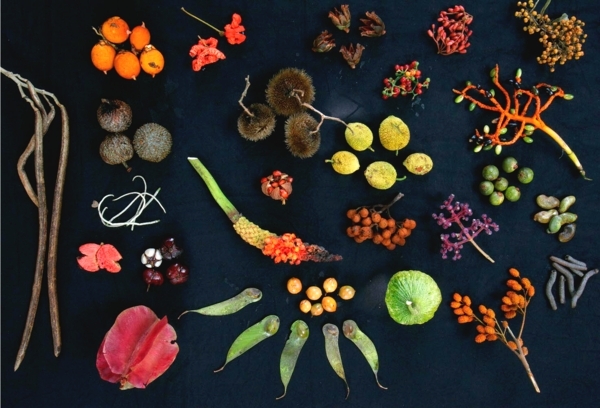 • Biodiversity, entropy and thermodynamics. Most of the people at this workshop study neurobiology and cell signalling, not evolutionary game theory or biodiversity. So, the talk is just a quick intro to some things we’ve seen before here. Starting from scratch, I derive the Lotka–Volterra equation describing how the distribution of organisms of different species changes with time. Then I use it to prove a version of the Second Law of Thermodynamics. This law says that if there is a ‘dominant distribution’—a distribution of species whose mean fitness is at least as great as that of any population it finds itself amidst—then as time passes, the information any population has ‘left to learn’ always decreases! Of course reality is more complicated, but this result is a good start. • Lou Jost, Entropy and diversity. • Marc Harper, The replicator equation as an inference dynamic. • Marc Harper, Information geometry and evolutionary game theory. and more recent papers by Harper. When pondering the number of extraterrestrial civilizations, it is worth noting that even after it got started, the success of life on Earth was not a foregone conclusion. In this talk, I recount some thrilling episodes from the history of our planet, some well-documented but others merely theorized: our collision with the planet Theia, the oxygen catastrophe, the snowball Earth events, the Permian-Triassic mass extinction event, the asteroid that hit Chicxulub, and more, including the massive environmental changes we are causing now. All of these hold lessons for what may happen on other planets! slides of the talk, click here! Here’s a mistake in my talk that doesn’t appear in the slides: I suggested that Theia started at the Lagrange point in Earth’s orbit. After my talk, an expert said that at that time, the Solar System had lots of objects with orbits of high eccentricity, and Theia was probably one of these. He said the Lagrange point theory is an idiosyncratic theory, not widely accepted, that somehow found its way onto Wikipedia. possible from fossil fuel burning. So, the question is: where did mammals live during this period, which mammals went extinct, if any, and does the survival of other mammals call into question Sherwood and Huber’s conclusion? You are currently browsing the archives for the biodiversity category.